Flower Power soother. Anatomical/orthodontic teat. 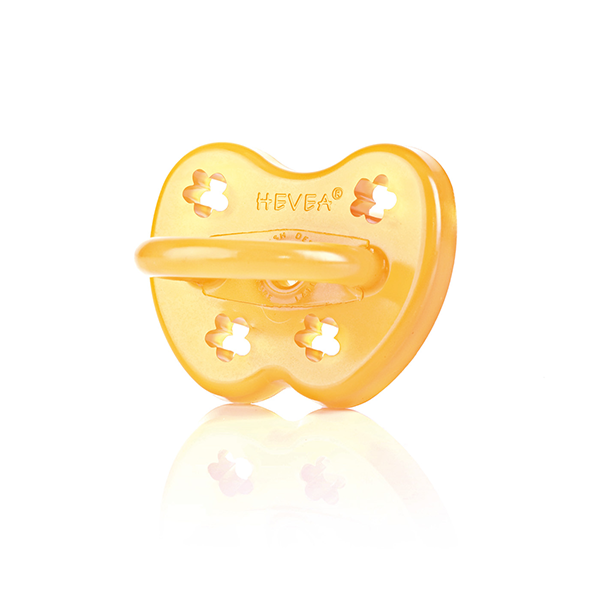 Hevea’s award winning soothers/pacifiers combine a modern design with 100% natural rubber which is completely natural and free from all nasties including PVC, BPA, phthalates and artificial colours. 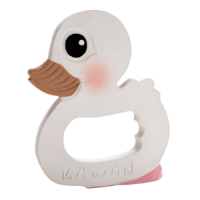 The ergonomically designed butterfly shape is gentle on your little one’s face. There are fun and cute ventilation holes and the hygienic one-piece solid design helps to eliminate bacteria build ups. 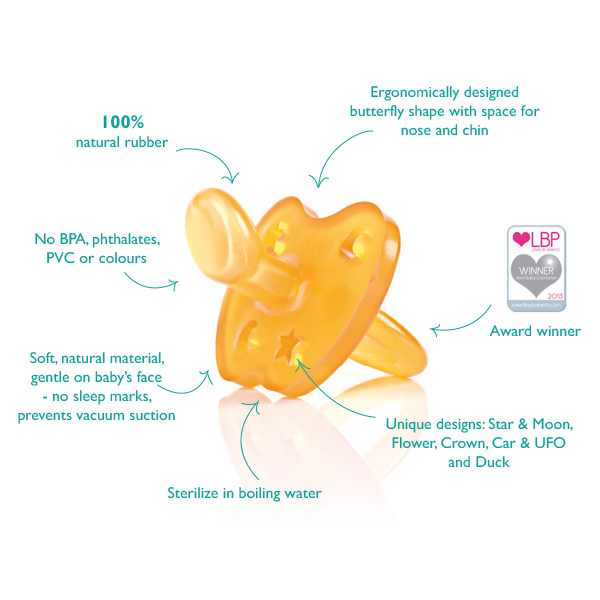 Each soother comes in attractive and sustainable packaging. Complies with EU safety standards. 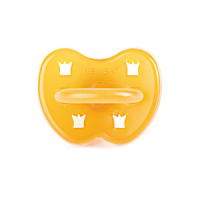 For both safety and hygiene reasons, the soother should be discarded after a maximum of two months use. 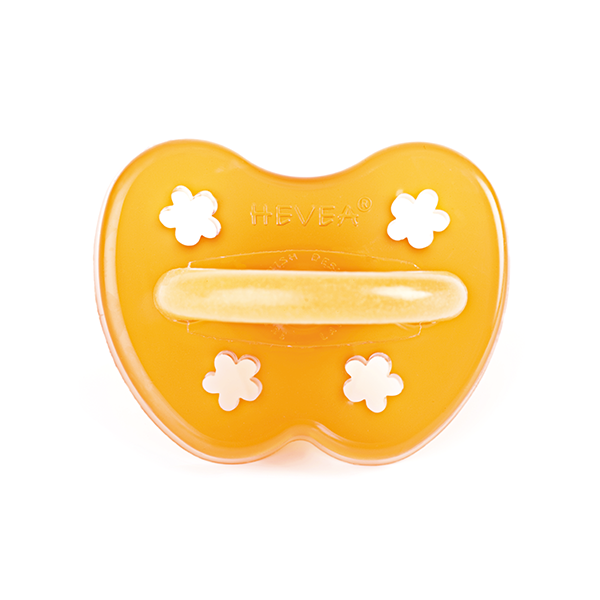 The soother/pacifier should be cleaned by hand or in a machine especially suitable for this, and must not be cleaned in a microwave or dishwasher. 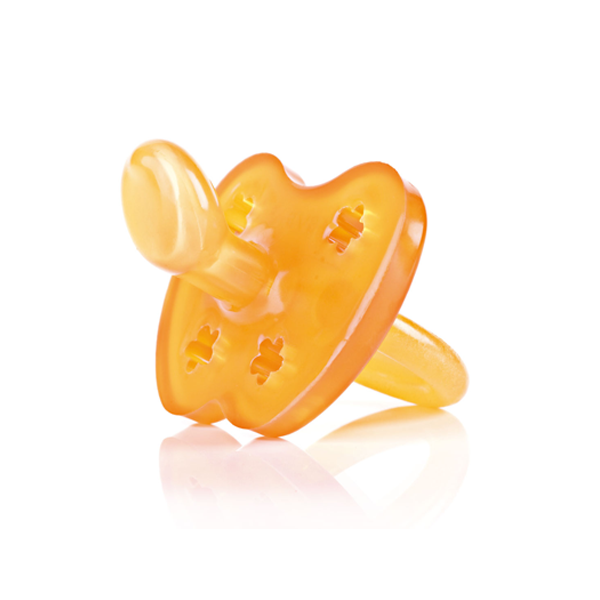 When the soother/pacifier is not in use, it should be kept in a clean, dry place out of direct sunlight or contact with a source of direct heat. It should be stored in a closed, clean and dry container. 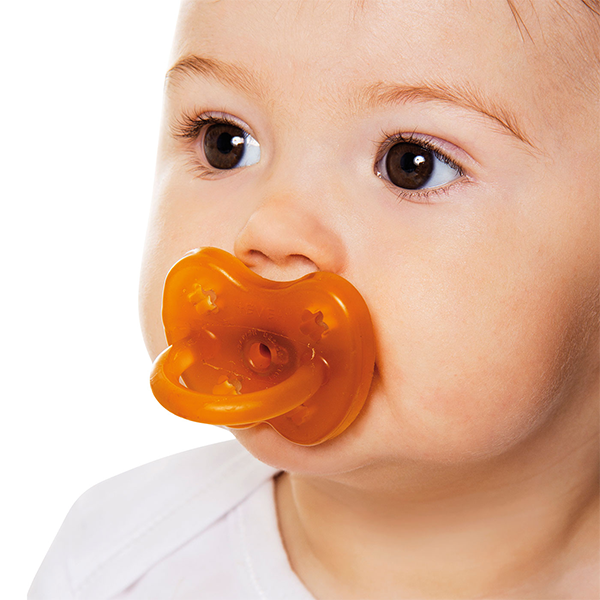 Check daily that the soother/pacifier is in good condition. This is done by pulling on the various parts of the soother and checking that it is still in good condition. 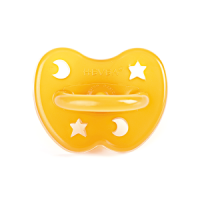 If there are splits or changes in the soother, it should be discarded.